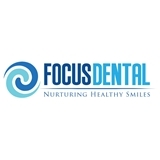 Focus Dental (Garland) - Book Appointment Online! Welcome! Thank you for dropping by! Looking for a comprehensive family dentist? Need to get a quote on cosmetic dentistry work? Does the thought of a dental appointment make you break out in a cold sweat? Then Focus Dental is the place for you! Serving folks of all ages (from babies to adults), we are a comprehensive dental practice that provides care in a warm and friendly environment. If you are a little bit nervous about dental visits, we have a variety of options to calm your nerves. Dr. Ngo is a caring professional who receives rave reviews from her patients about her attentive personal care.